He also said that Chahal is pretty decent, but Rashid is on another level. When the T20 format hit the shores of cricket, many felt that the art of leg-spin will die soon. 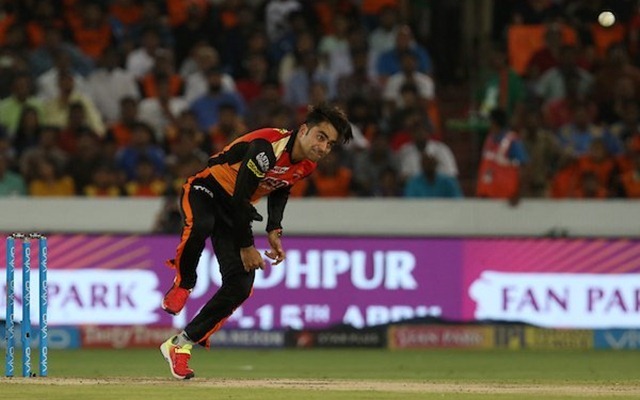 But interestingly, a leg-spinner currently is one of the best weapons for a captain in the shortest format and Rashid Khan is the best example. The youngster from Afghanistan has been a revelation in the gentleman’s game, already registering over a 100 wickets in ODIs for his national side. Some other wrist spinners who are doing incredibly well for their countries are Adil Rashid (England), Shadab Khan (Pakistan), Kuldeep Yadav and Yuzvendra Chahal (India). All these players come very close to being the best leggies in the world right now, but Australian legend Dean Jones reckons it’s the Afghan superstar who is the best in the business right now. “With all due respect to (Yuzvendra) Chahal, I am a big Rashid Khan fan. I have been a coach of the Afghanistan national team and I know how he is like off the ground,” Jones said as quoted by Sportskeeda. Dr DeanO, who is currently working as a commentator in the Indian Premier League (IPL), has also been the head coach of Afghanistan. Jones didn’t back off from complimenting Rashid and called him an absolute superstar. The 20-year-old is currently playing for the Sunrisers Hyderabad and has already done a tremendous job for the club. More often than not, he ends up conceding less than 25 runs in his 4 overs, which is quite outstanding in T20 cricket currently. He also said that Chahal is pretty decent, but Rashid is on another level. “He has got one in the front of his hand and has two different grips for his leg break but even then have you ever seen him going for more than 30? The guy is an absolute superstar. “All due respect to Chahal who is getting better and better, but this guy is on another level when compared to Chahal. Rashid Khan is the best leg spinner in the world for me,” added Jones.